There is no inbuilt feature in any browser to hide all open tabs in a single click; if you are more security concern about your personal websites than you should add a chrome extension to hide all your open websites. “Panic Button” hides all your tabs at once with one single button and restore them later. 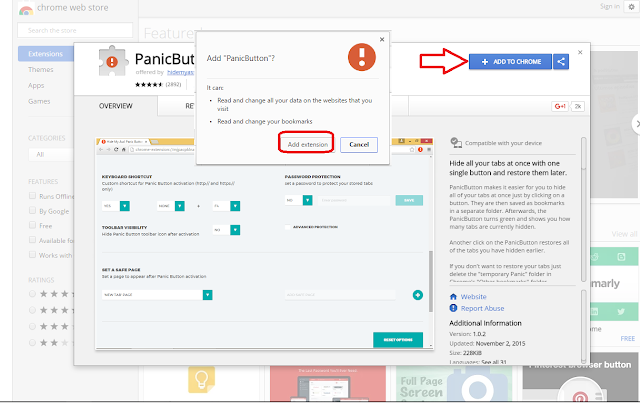 Lets see how to install and use panic button in chrome, you can also use for firefox. 3. The panic button will add top right side of browser, just do a single click to hide all open tab, click again to restore all website.